Meanwhile, Urban Jakarta Propertindo's Director of Corporate Development Tri Rachman Batara said the company will also issue a total of 400 million new shares - or 11.23 percent of its total shares - through a convertible loan agreement. As such, Urban Jakarta Propertindo will offer a total of 1 billion shares to the public (28.08 percent of the company's paid-up capital). Appointed as underwriters for Urban Jakarta Propertindo's IPO on the Indonesia Stock Exchange are RHB Sekuritas and Sinarmas Sekuritas. The offering price is set in the range of IDR 1,000 - IDR 1,250 per share, meaning the company plans to collect between IDR 1 trillion (approx. USD $66.7 million) and IDR 1.25 trillion (approx. USD $83.3 million) from the corporate action. The book building process - when the underwriters attempt to determine the exact price to place the offering - is scheduled for 9-19 November 2018. Rachman Batara said 50 percent of the IPO proceeds are to be used to purchase land in the Greater Jakarta area. Thirty percent will go to the company's capital expenditure budget, while the remaining 20 percent is set to be used as working capital. 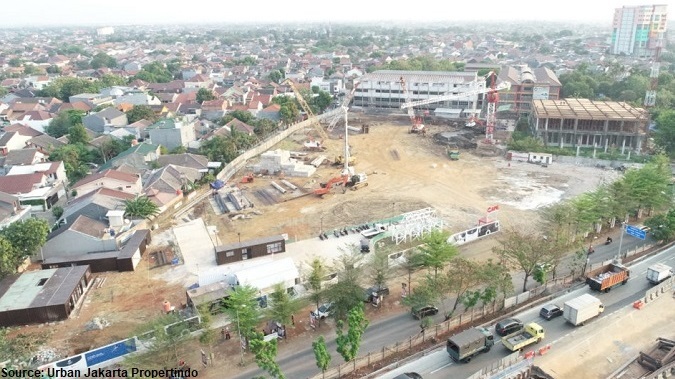 Currently, Urban Jakarta Propertindo is developing four transit-oriented development (TOD) projects on the light rail transit (LRT) track in the Greater Jakarta area. In urban planning, a TOD is a type of urban development that maximizes the amount of residential, business and leisure space within walking distance of public transport. In the first half of 2018 Urban Jakarta Propertindo recorded a 44 percent (y/y) increase in revenue to IDR 52.4 billion (approx. USD $3.5 million) on the back of apartment sales in the Lot 1 Gateway Park project. Meanwhile, the company's profit margin rose from 28.36 percent to 33.72 percent over the same time. So far it has been a great year for the Indonesia Stock Exchange in terms of number of IPOs. Up to 10 November 2018, a total of 50 companies have made their trade debuts on the local bourse.